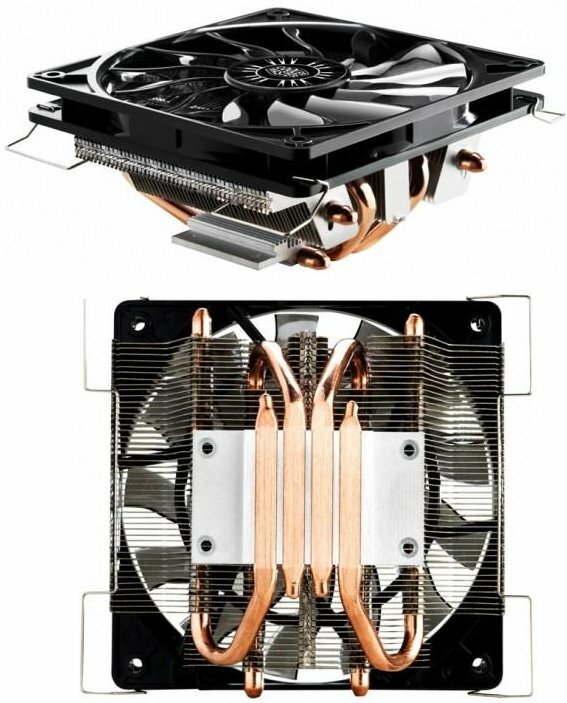 Next month Cooler Master will ship the GeminII M4, a new ultra-low profile CPU cooler that measures 137mm x 122mm x 59mm. The cooler weighs 289g, it has four direct-touch heatpipes, aluminium fins and a 120mm XtraFlo slim fan with sleeve bearing. The fan spins at 500 to 1600RPM and promises a noise level between 8-30dBA. The intented target market is Mini-ITX systems, HTPCs and other small form factor systems.